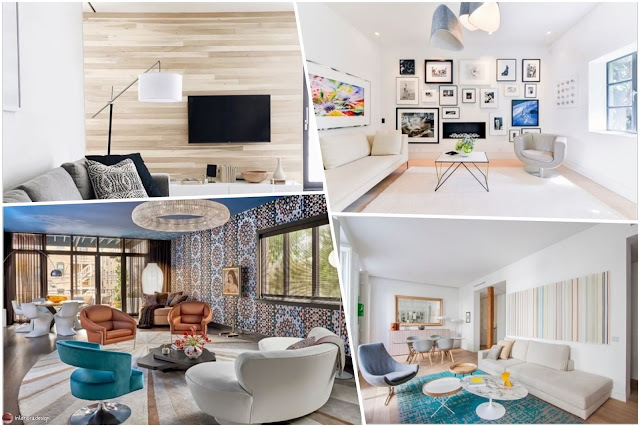 The living room has special attention between the rooms of the house, and it is necessary to use modern designs for walls, to break the deadlock and get bored of these designs. 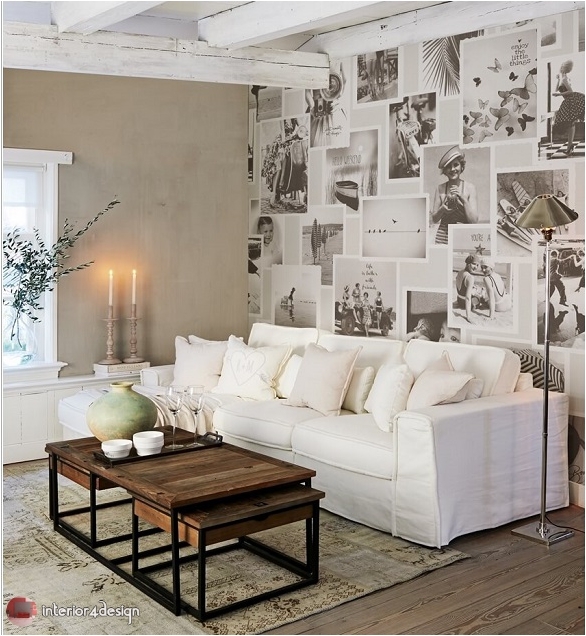 1- walls of the living room has transformed into an old family photo album in a distinctive artistic way. 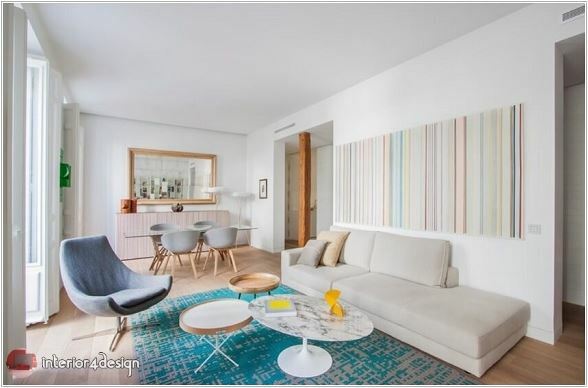 2 - distinctive geometric designs of walls using plaster and other materials, for more exciting atmosphere in the living room. 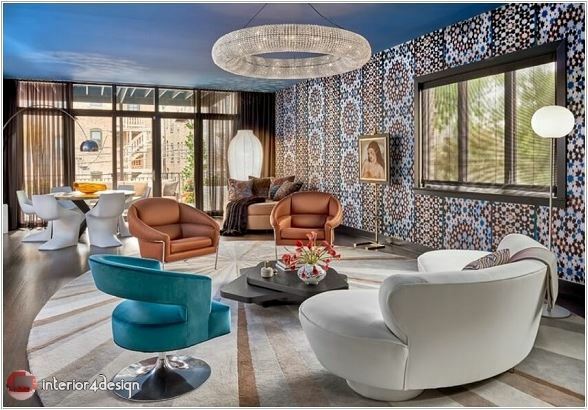 3 - Use of models of colored mosaics to decorate the walls of the living room in a distinctive way. 4. 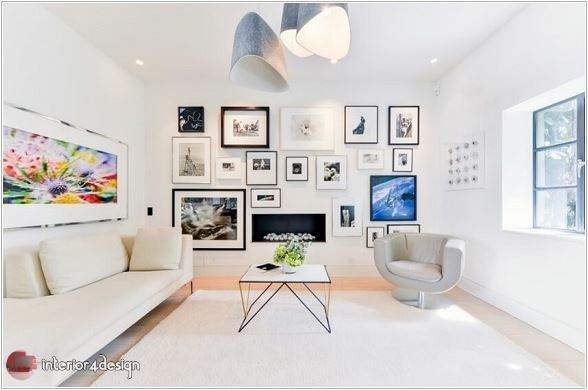 The wall can also be transformed into an art gallery by hanging a collection of paintings. 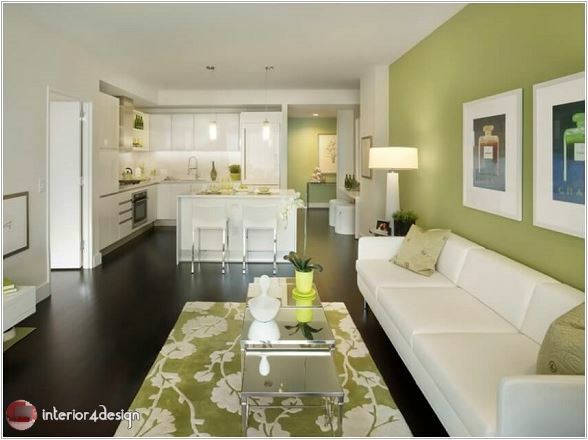 5 - Paint one of the walls of the living room in your favorite color, in line with the rest of the colors of the decor. 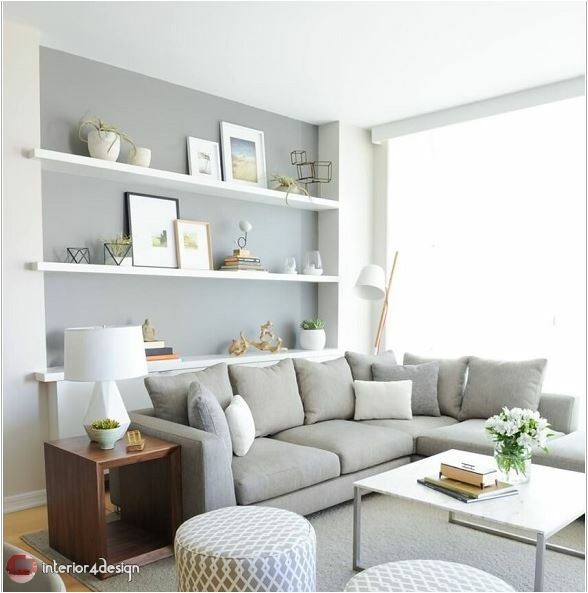 6- Paint one of the walls in a neutral color, and then install a set of floating shelves. 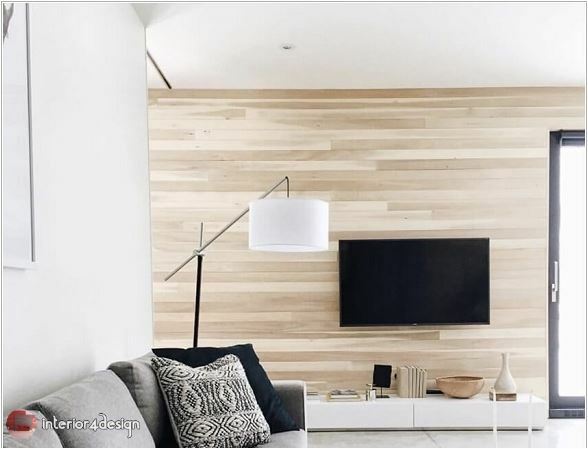 7 - Wooden decorations to decorate one of the walls of the living room inspired by nature. 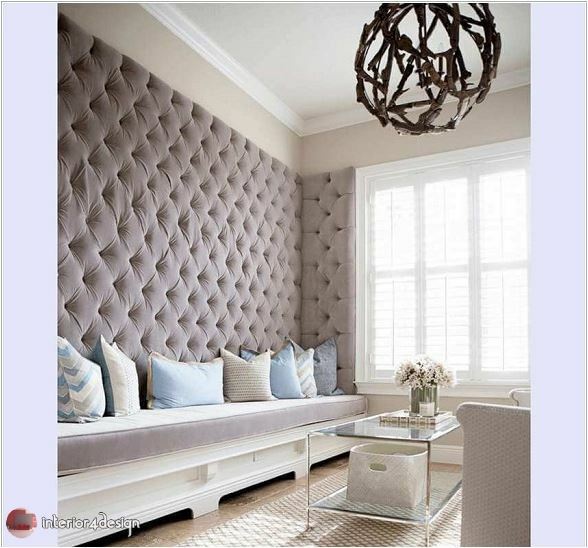 8- For more sophistication, decor can be used from the lining of the sponge to the walls of the living room. 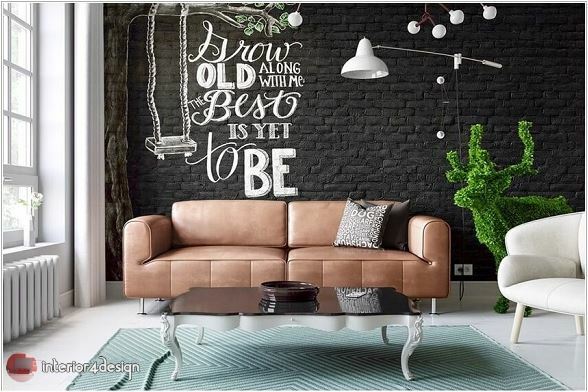 9 - Another way to decorate the walls of the living room using colored bricks or bricks. 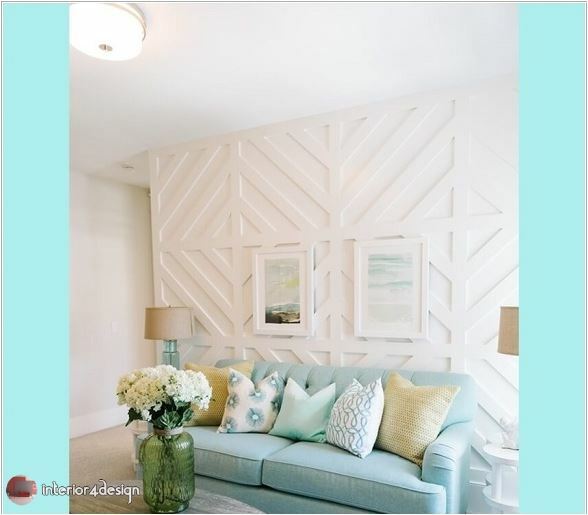 10- Decorating a wall of the house with a panel of wallpaper, can be considered a simple painting.